Hello Fellas! Today we are going to share one of the best tricks to get 300 Rs free of cost with the help of Paisaget, Kotak, and Phonepe. We are aware of this thing that Paisaget is giving the 75 Rs Cashback instantly in the Paisaget wallet for Opening the Kotak Account. I am assuming that you are also aware of this thing that Kotak 811 is a facility to give the Saving Account with some effective Interest Rate. You can use your AADHAR Card, PAN Card and your Android Smartphone to Open the Kotak Saving Account. And this trick of getting 300 Rs free of cost is also based on Android Smartphone. For this trick of getting 300 Rs free of cost, we are going to take the help of Phonepe also. Phonepe is offering 100 Rs free of cost just signing up of your newly opened Saving account on Phonepe. Phonepe is also offering 225 Rs for doing UPI transactions on Phonepe. Now using this trick you can totally get 75 Rs of Paisaget and 225 Rs from Phonepe. So please the whole post carefully in order to get Rs. 300 free of cost using Paisaget, Kotak, and Phonepe. 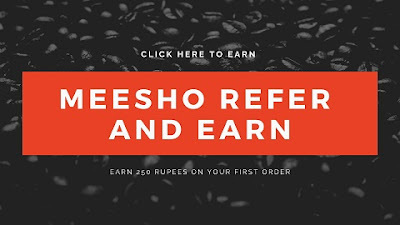 How To Get Rs 300 Free of Cost Via Paisaget, Kotak, and Phonepe? First, go to this link Paisaget Website. Now Enter your Name, Email and Sign Up your account. Now Verify your Mobile Number and Email ID. Now go to the Paisaget Offer Page. Now after that click on Get Cashback. After clicking on that you'll be redirected to the Play Store. Open the Kotak App and Enter Name, Email, and Number to Open Account. After this Enter AADHAR details and Verify it. After that Enter the Pan Card Details and other details. That's it your Kotak account will be open shortly. After opening the Kotak account you'll get 75 Rs in Paisaget. Trick To Get 225 Rs Extra From Phonepe. Now Download the Phonepe App. After this Sign up with your Kotak Account Registered Number on Phonepe. Now Go to Account and Link the Number with Kotak Mahindra Bank Account. Make sure that you are linking your Bank account through this Link to get Rs 100. Now after that Make your First UPI transactions by sending 150 Rs to your any other Phonepe account. You'll get 75 Rs for the first UPI transaction. Now do your 2 , 3 , 4 and 5 transactions of any amount like 10 Rs, 20 Rs or 30 Rs. Now you have 100+75+50= 225 Rs in your Phonepe Wallet. After this do your Calculations like 75 Rs in your Paisaget and 225 Rs in your Phonepe wallet.